With the deployment of the Alpha Network, the OriginTrail team started working on delivering pilot projects, testing different use cases and expanding the OriginTrail brand through marketing activities and business development. Establishing the Trace Alliance gave the team a foundation on which to scale the protocol to many use cases, some of which have started testing the Alpha version of the solution. By utilizing smart sensors to prevent wine fraud, OriginTrail is now tracking data from TagItSmart sensors for premium European wines Plantaze on their way to the Chinese market, where this type of alcoholic beverage is one of the most counterfeited products. This is the first project where OriginTrail will be used for data coming from smart tags and the entities engaging them, which will enable the tracking of more than 15,000 unique wine bottles with the company’s protocol and TagItSmart solutions. A collaborative hub for connecting various business entities for the purpose of resolving supply chain challenges was established in order to ensure protocol scalability. 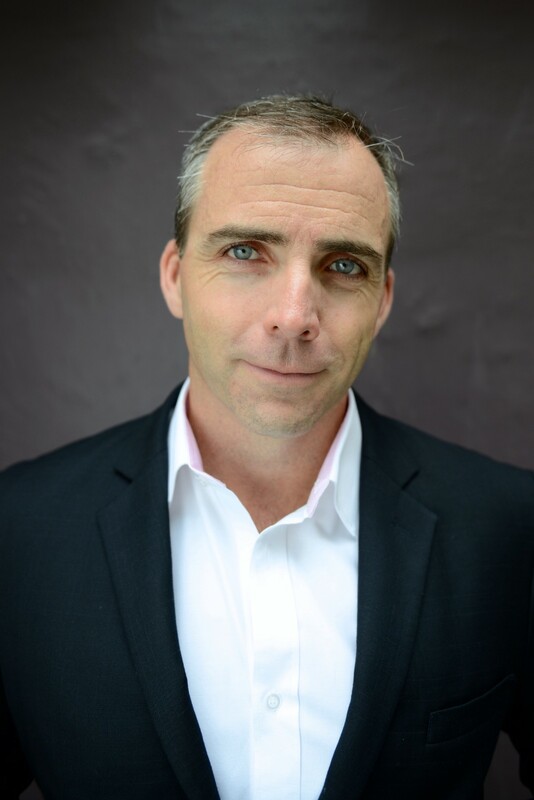 The OriginTrail team is expanding the Trace Alliance with corporate members, IT vendors, individual developers and others. Interactions are followed on an ongoing basis. 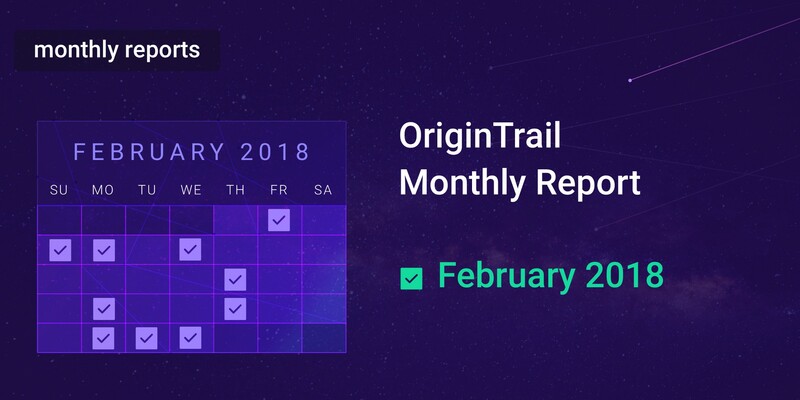 More than 70 interested companies already received a kit for the OriginTrail node implementation and access to the OriginTrail Alpha Network, which was deployed in February. Iterating from the alpha solution in 2-week sprints, we are quickly moving towards the testnet launch in June. We recently updated our roadmap with detailed technical input. You can also follow the development on our GitHub. At OriginTrail, we have a strong focus on Asian markets, where the urge for transparency from the consumers and other stakeholders, as well as advanced technology already put in practice, provide an excellent environment for large-scale implementations of our protocol. We chose Hong Kong for international partnerships in the region. We believe Hong Kong is central to fostering business development in Asia. Contact David McCann, Winning Centre, 46–48 Wyndham St, Central, Hong Kong. We organised a meetup in Belgrade where we presented data scalability in the decentralized world and discussed our proposed solutions with the Serbian blockchain community. Our founders and developers shared their vision on how to tackle this challenge in the most complex arena of supply chains. 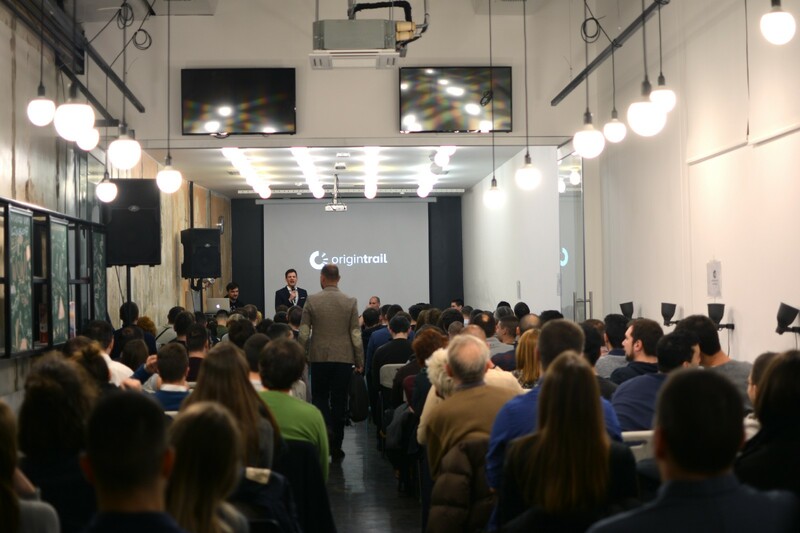 More than 150 participants were present in Belgrade. COO Žiga Drev presented at the “Blockchain in Supply Chain, Transport & Logistics in Asia” webinar on February 7th, along with WaBi & SweetBridge Alliance representatives. In his lecture, he focused on applying blockchain in supply chains in a scalable way. Žiga also presented the OriginTrail protocol at the “Blockchain in the Energy Sector” conference in Ljubljana, Slovenia, on February 28th, as a trusted solution for sharing data in any inter-organizational environment. OriginTrail founders also attended a meetup for Enterprise Ethereum Alliance members in London, which was hosted by Ethereum co-founder Joseph Lubin. In February, we were listed on the HitBTC cryptocurrency exchange. The OriginTrail team is growing. We opened new positions in our company. Check out our career page and build the future of decentralized supply chains with us. This month, we transferred part of our community communication from Telegram to Rocket.Chat and opened up channels dedicated to specific topics. Telegram is still open for public debates amongst community members, but for answers to more structured questions, please visit our Rocket.Chat. You can join our Rocket Chat community by following this link: https://chat.origintrail.io. Our Telegram group is managed by 5 trusted community members and 3 OriginTrail team members. We are happy to see how the user base on our social channels is still growing. Thank you for an amazing month, and making our vision possible. Stay tuned for the next monthly report, which comes out in April.